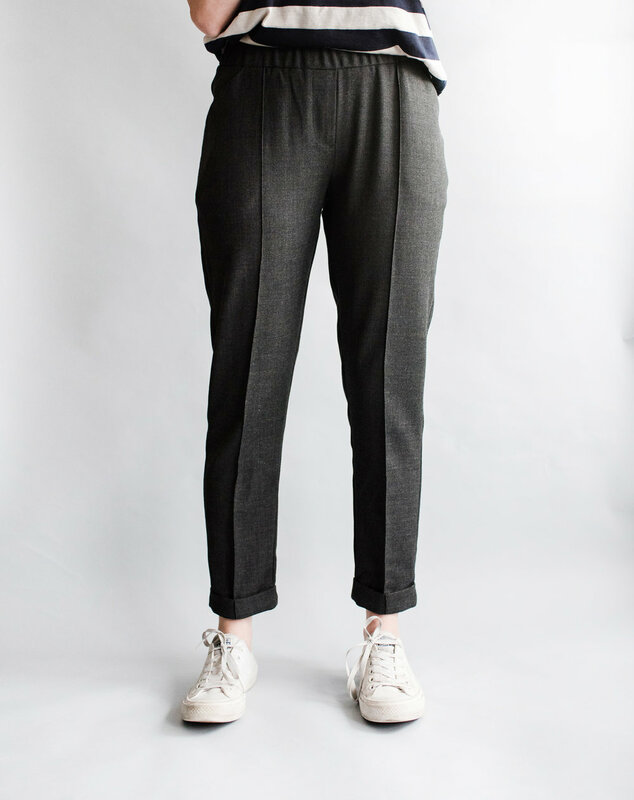 The Robinson Trouser is a pull on, elasticized waistband with a peg ankle length pant. It comes with 6 different hem option:  regular cropped hem,  a side zipper and regular or elasticized back (only) hem,  elasticized crop hem,  a faux cuff or  regular added cuff and also  and exposed zipper ( 30cm or 18cm) and snap cuff closure. The pattern comes with flattering slanted pockets and optional back patch pockets too. Easy, comfortable and stylish too. Perfect for a day at work in a crepe wool or for a sunday stroll in a sweatshirt fleece. The pattern comes in two versions: OPTION A- for regular non stretch woven fabrics. Perfect cotton twills and denims for a crisp look or some crepe or rayon challis for a flowy look. 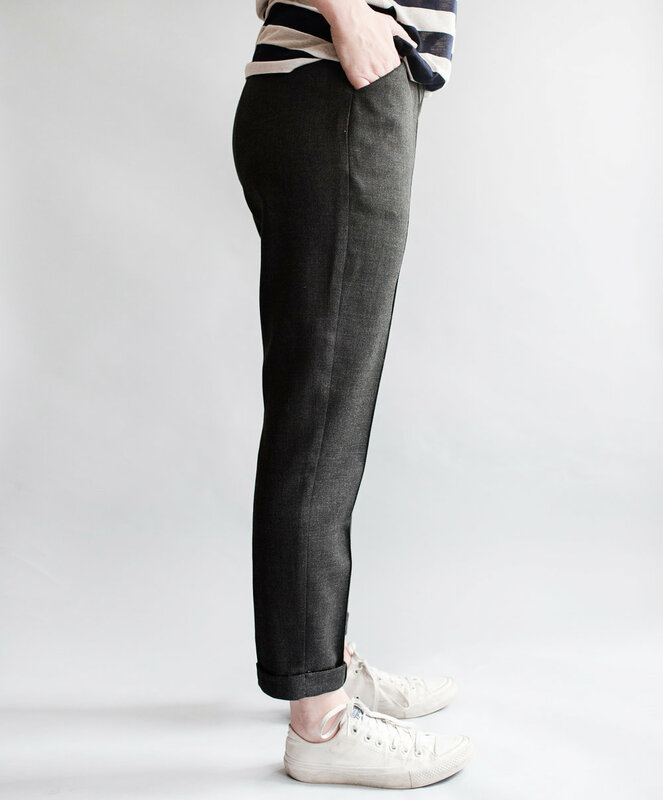 OPTION B- for fabrics with 25-75% stretch like a stretch denim or twill and sweatshirt fleece or scuba knit. The patterns come with illustrated step by step instructions, perfect for a beginner. The zipper and snap hem makes this pattern a nice challenge and intermediate pattern too.